An abbreviated Crate & Barrel catalog arrived earlier this week, and of course I couldn't wait to dig into it. Without further ado, let's go over some of the things that caught my eye! 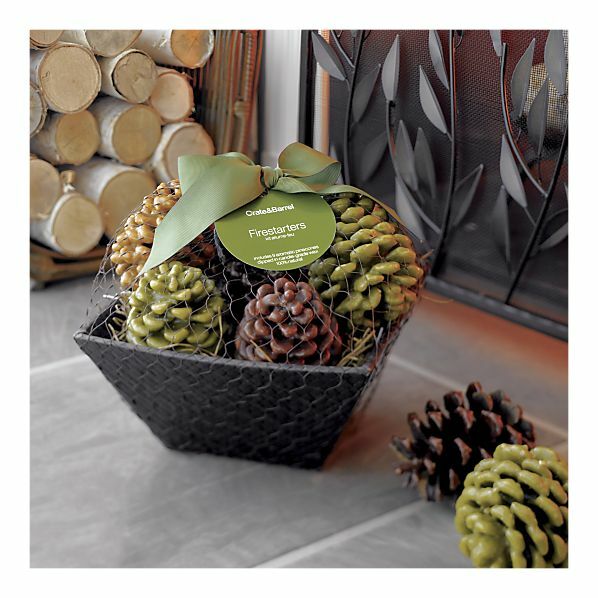 We don't use our fireplace and I'm hot-natured anyway, so it isn't like I'd actually NEED these, but I think they'd be a fun hostess gift for a weekend stay or even for a Christmas party host or hostess gift. They'll be great for the winter, and they're cuter than kindling! We eat a LOT of popcorn in this house. I mean, we pop it in an air popper or oil popper at least twice a week, sometimes more often. 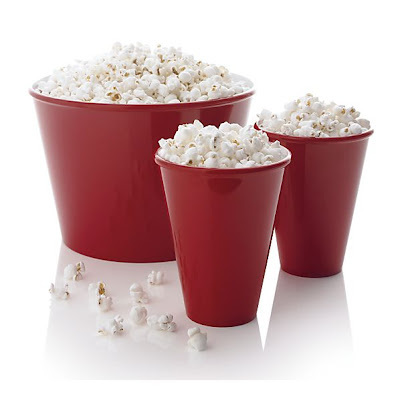 The thing about a lot of popcorn bowls is that they're heavy porcelain or stoneware bowls, and those aren't practical for kids. I love melamine! We actually use Tupperware bowls around here, which also work great, but I love these bright red numbers! 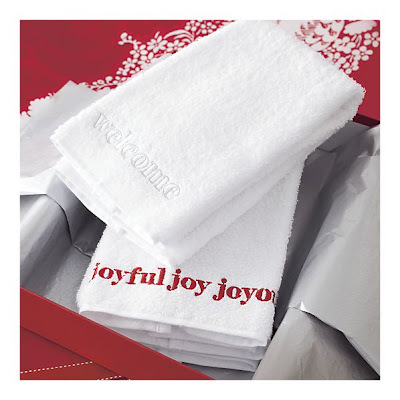 I have a set of reindeer holiday hand towels for our powder room (from Pottery Barn, but I don't think they carry them anymore), but if I needed new ones I'd go for these. I love their simplicity but also their festiveness. And yea for bright white! I prefer white towels to any other color, because I think they're so crisp and clean. 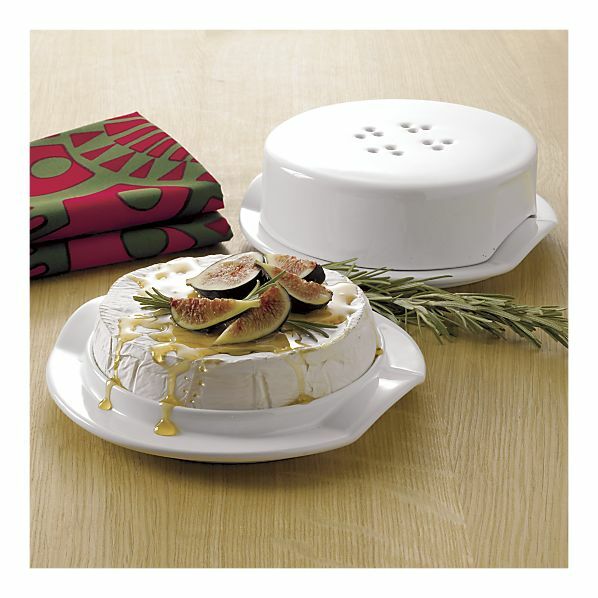 If you've got room in your kitchen to store a Brie Baker, you've got more storage space than we have. Nonetheless, I love a good Brie wheel baked up to perfection, topped with apple pie filling and served with Wheat Thins. And if you've got a special piece of bakeware to bake and present it to me in, more power to ya. 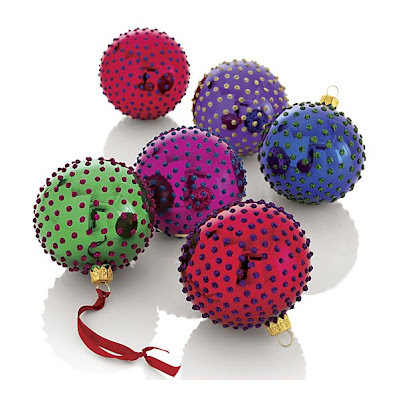 C&B has about 100 types of ornaments on sale right now, but these were some of my favorites. I love the bright colors, and I also love that they have an added 3-D element going on with the dots. 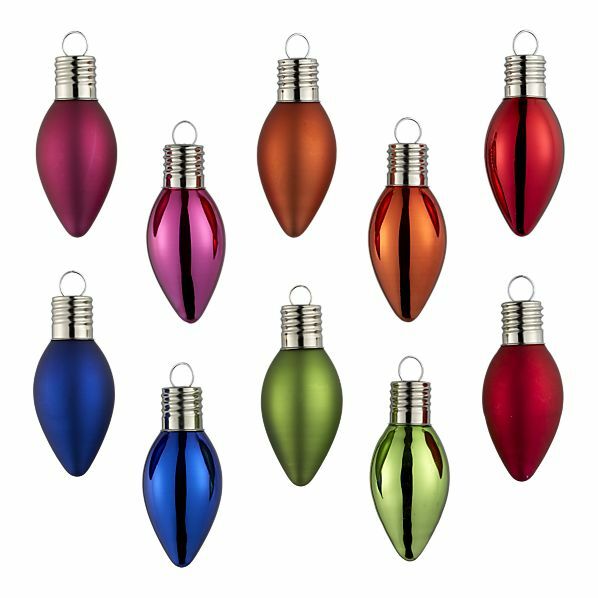 And if I didn't already own a similar set that I bought at Cracker Barrel a few years ago, I'd snap this next set up in a hurry: the Set of 10 Lightbulb Ornaments ($7.60). I love them! I think it goes without saying, but C&B and I don't have any relationship of any kind ... I'm just sharing things I love from the most recent catalog with you. I did notice when I went to the website to pull the images that they are offering Free Shipping through Dec. 20 on online orders of $100 or more. So if you still have gifts on your list that you need to purchase, this might be a great time and place to do so! I am so like you, I love the C&B and Pottery Barn catalogs, especially this time of year! I don't even have a tree for ornaments but I think those light bulb ones are hilarious! We LOVE popcorn here too. Really like the cups and tub, might have to check them out. AJ and Tamar, I'm glad you enjoyed the post and saw things you liked! I have to rein myself in every time I get one of those catalogs, because I just want to buy EVERYTHING I see!